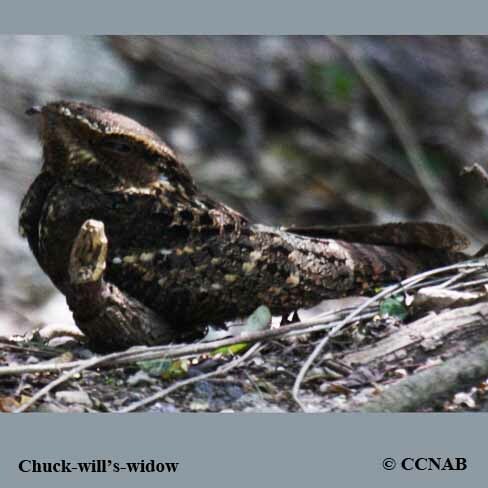 The Chuck-will's-widow is the largest member of the nightjar family. This bird, like all nightjars, has the ability to remain unseen with the different shades of colours of its plumage. These colours blend the nightjar and the landscape around it, making it very difficult to notice. Every year, there are more reports of sighting of this bird at its northern boundaries, which seems indicate it is expanding farther north.